CISS for Epson Stylus Pro 7890 Save with CISS system for Epson Stylus Pro 7890 in USA. Therefillable cartridges are made similar to original cartridges; however theyallow adding ink again and again, up to several hundreds of times. For properwork of refillable cartridges you need to order chip resetter. It is used toperform the procedure of resetting ink level when necessary. 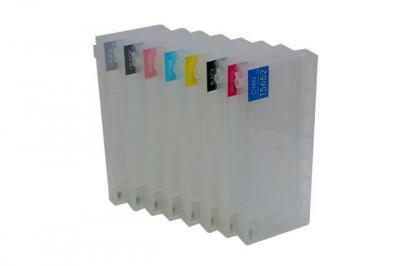 Thesecartridges are easy to refill, there is no need to remove the cartridges fromthe printer. Thecartridges are made of high-quality plastic, and can be changed on theirpositions that easily allow to alter them from one model to another or toreplace the damaged cartridge.